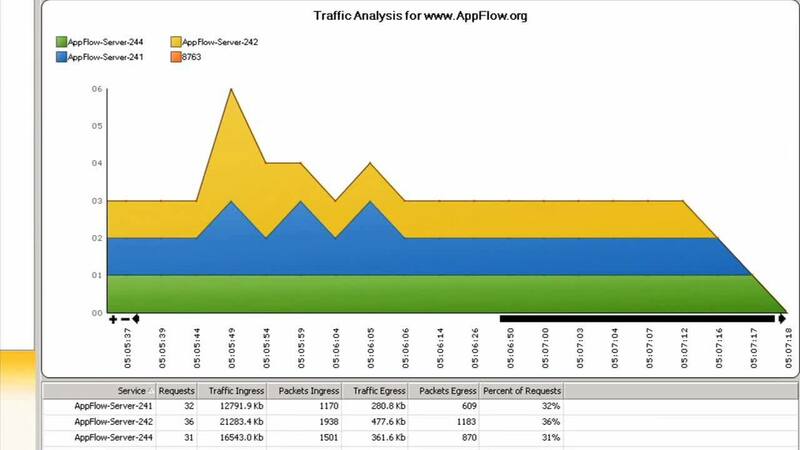 Use Real-Time AppFlow Analyzer for simplified bandwidth analysis. Resolve application and network slowdowns. Need advanced Netflow analysis and customizable reports? Download your 30-day trial of SolarWinds® NetFlow Traffic Analyzer.